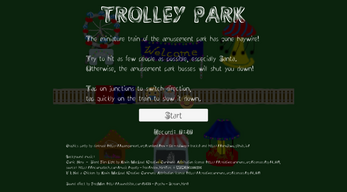 The miniature train of the amusement park has gone haywire! Try to hit as few people as possible, especially Santa. Otherwise, the amusement park bosses will shut you down! When your reputation hits zero, you lose! 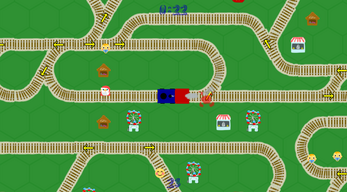 tap quickly on the train to slow it down.